There’s never a good reason to strive for the lowest common denominator of freedom and dignity. We should always try to raise our political standards and demands to the highest that we possibly can. You can only hope that Smriti deployed this strange analogy because she believed the (false) rumours that Rehana Fathima, one of the women who attempted to reach the Sabarimala shrine on Friday, was carrying blood-soaked sanitary pads in her irumudikettu (the bag of holy offerings Sabarimala devotees carry on their heads). Now what Smriti attempted here is a common rhetorical device, and a remarkably dangerous one at that. 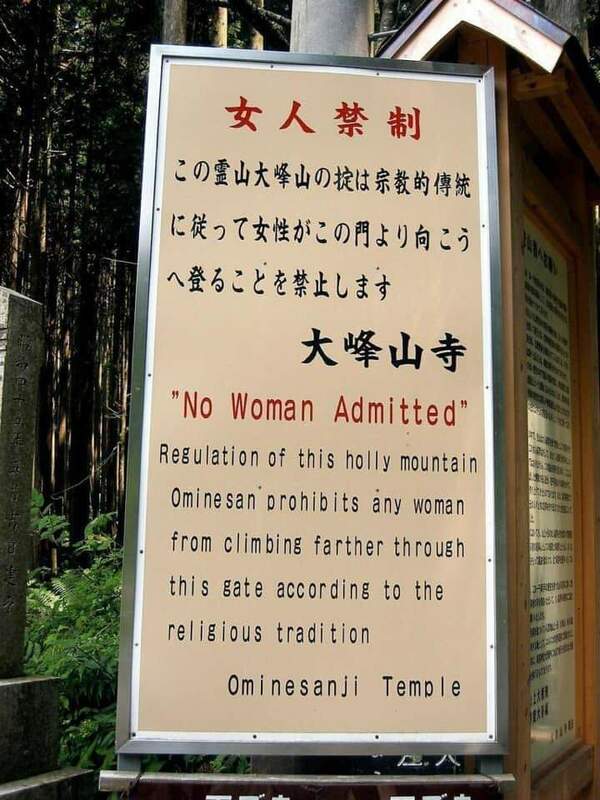 It’s the same thought behind that other WhatsApp forward you may have received from overzealous relatives in recent days, about the Ominesanji temple in Japan also not allowing women to cross its threshold, accompanied by a picture of the sign there saying the same. Or the thought that motivates your mother and aunties to tell you that they had it much worse when you complain of the gender discrimination you face today. Or the one that inspires men to shame urban women for sharing their #MeToo stories of workplace harassment because at least they don’t have to carry water on their heads for miles. I remember when a friend of mine, a professor of Constitutional law, came to my women’s college in Bengaluru to take a guest lecture on, well, the Constitution. He said, picture this, a college lets boys come back in to the hostel at 12 AM, but girls must be back by 9 PM. Do you think the boys should be asked to return by 9 PM too? Yes sir, the class chorused gaily, until he metaphorically smacked them in the brain, and told them to raise their damn political standards, that they shouldn’t be striving for equality at the lowest common denominator, and should really be fighting for no curfew at all. It made a deep and lasting impression on the entire class, and I keep the memory of that lesson, and the phrase “raise your damn political standards”, very, very close to my heart. Because there’s never a good reason to strive for the lowest common denominator of freedom and dignity, and as women, we should always try to raise our political standards and demands to the highest that we possibly ever can. Smriti Irani and other Parsi women being asked to remain outside fire temples doesn’t make the ban on Hindu women entering Sabarimala legitimate or okay, it should only serve to remind us that there’s so much more to fight for across the board. Smriti Irani being happy to wait outside a fire temple doesn’t mean that Bindu, Manju, Madhavi, Kavita, Rehana Fathima, Mary Sweety, and all the other women who attempted to enter the Sabarimala shrine this week but were turned away shouldn’t be hurt or angry about it. A sick man being told that someone else is sick too doesn’t make either of them any less sick. Pointing out that someone else is suffering more than you are, or that unequal conditions exist elsewhere in the world, or that some woman somewhere has it much worse than you do, shouldn’t inspire you to be simply content with your sorry lot. Not to sound too much like your drunk Commie uncle on Christmas, but sisters, Smritis and everyone else, let’s fight for all the dignity we deserve. Let’s raise our damn political standards, and compare ourselves always, only, to the best of us, aiming for the highest standards of political freedom that we can possibly get.